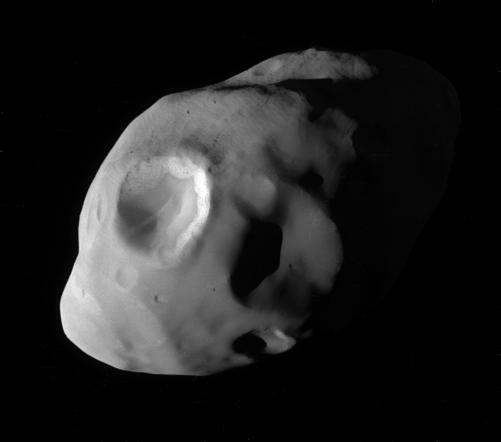 Saturn’s moon Pandora. Click to read more. This is the highest resolution photo of Pandora, Saturn’s potato-shaped moon discovered in 1980 by Voyager 1. Pandora is covered in dust-like icy material, and identifiable by how it often obstructs the material in Saturn’s F-ring. As we enter the final months of the Cassini mission, this new photo of Pandora (taken 12/18/16) represents the longevity of a mission which began in 1997.